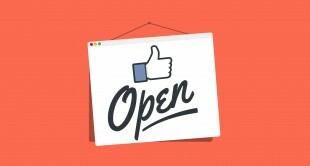 Marketing is kind of a sticky topic for creative people. Caught between the desire to show the world what you make and do and concerns about selling out, we often turn to professional marketers for inspiration. 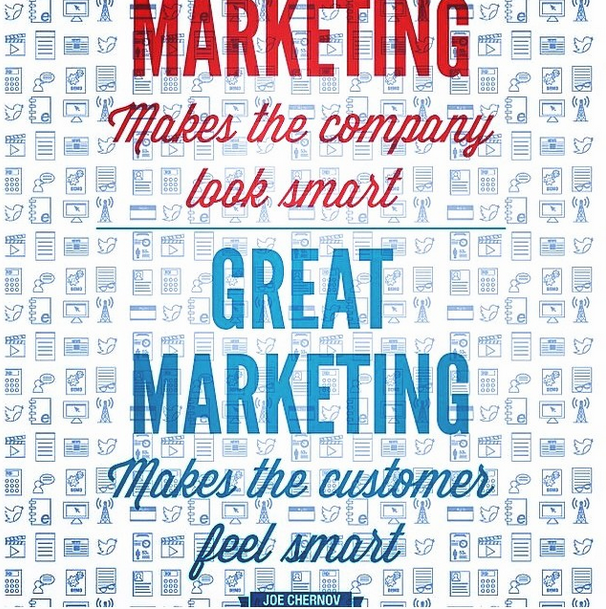 However, a lot of marketing advice is, well, just not great. In the echo chamber of the internet, it’s easy to come to the conclusion that the best way to be seen and heard is to shout louder than everyone else — but at the end of the day, the best way to market yourself and your products is to be your best self and make your best products. And if you’re still not sure you believe it, here’s some advice from some of the top business buffs we could find. 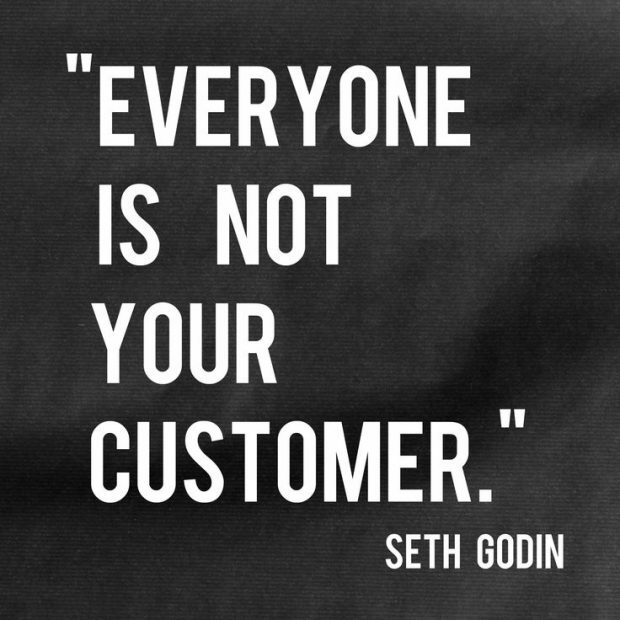 Via Bill Svoboda and CreativeMornings, this quote is part of a larger talk on the point of marketing, and how necessary it is to understand an audience, rather than try to foist a product onto a faceless crowd. Photographer Susan Stripling doesn’t have time for fruitless marketing ploys. 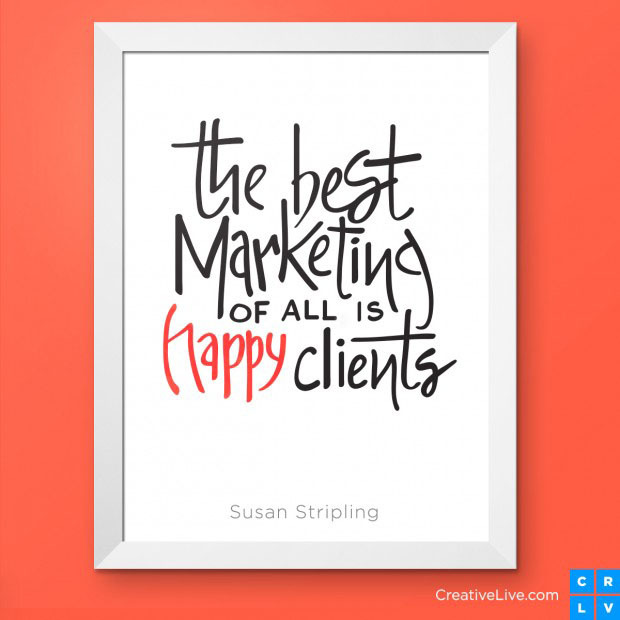 She sticks to the best advertisement there is — a strong product and, of course, happy clients. 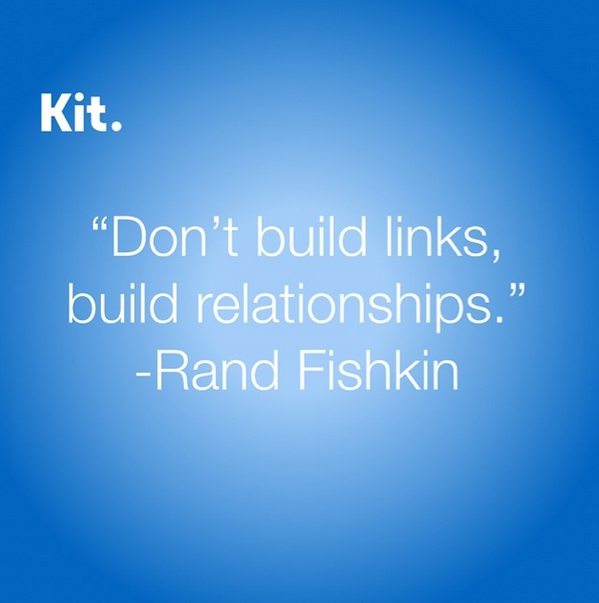 Moz founder Rand Fishkin may no longer sit in the CEO’s chair, but he’s still an influential voice. His raw, honest blogging about depression and his struggles in starting a company remains both fascinating and comforting to read. Seth Godin is largely regarded as a marketing genius, which makes him especially quotable. But one of the elements that draws people who aren’t traditionally interested in entrepreneurship and marketing is his relatable nature — and his real-talk, as in this quote. As the VP of HubSpot, Joe Chernov has helped grow traffic to the blog with his smart direction and emphasis on the kind of marketing that makes people feel involved, not sold to. 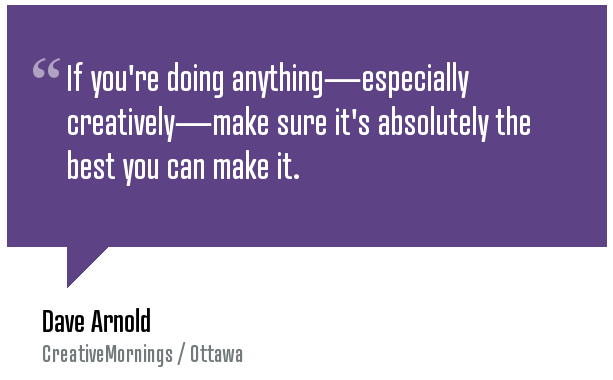 In his talk at Creative Mornings Ottawa, artist Dave Arnold explained how working artists could monetize their work — something that’s often a challenge for creative individuals.